London's new photo festival with events and exhibitions around the city promises something for every photography professional, collector and enthusiast. 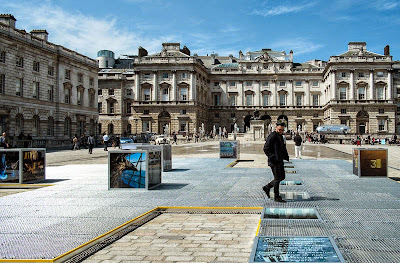 Somerset House is hosting more than 70 international galleries. 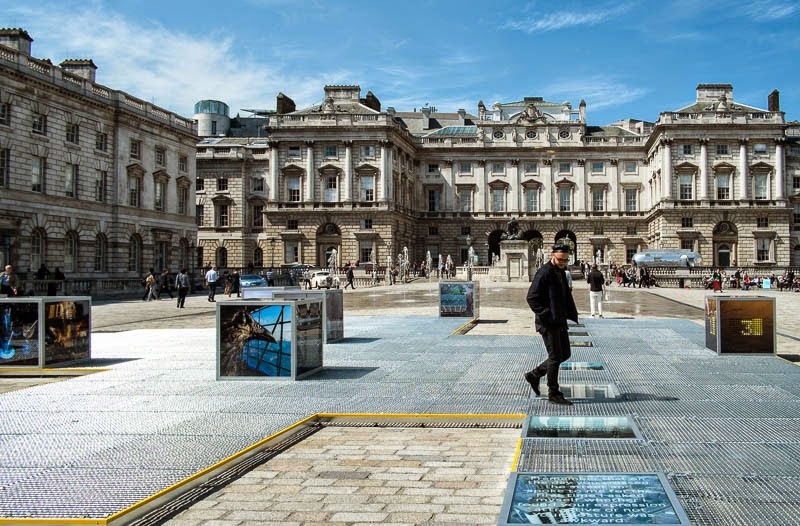 Exhibitions include "Beneath the Surface" from the V&A collection, Sebastiao Salgado's "Genesis in Platinum" and Kaveh Golestan's "Prostitiute". In the courtyard is a specially commissioned piece by Rut Blees Luxemburg "The Teaser" is in the courtyard. Photo London runs until Sunday 24 May. An interesting teaser in an amazing courtyard! This would be a must if in London, what a treat! I wish I could see this one. I bet there are some very impressive photos in this exhibit. This looks great. Kind of a London photographic alternative to Venice's Biennale. Sorry to be absent recently. My trip to South Africa leaves me little time and imposes electricity and wifi shortages to make it interesting. But, I went back ten days to appreciate your (and Ted's) recent offerings.